The Huffington Post ran a story remembering the antiwar protests of February 15, 2003. It featured my work with Fabio Rojas on this topic. There will be a free showing of The Activists: War, Peace, and Politics in the Streets this Thursday, September 14 at 6pm at the Ann Arbor District Library. All are welcome! The Activists has been named an Official Selection of The YES Film Festival in Columbus, Indiana, October 27-29, 2017. The Activists was reviewed in the July 2017 issue of the School Library Journal. The Activists will screen at the Telling Tales Film and Audio Festival in Manchester, United Kingdom on June 24 at 3:25pm-4:25. 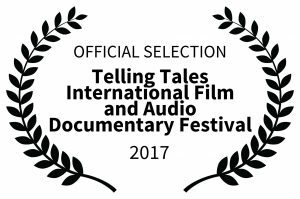 Today it was announced that The Activists: War, Peace, and Politics in the Streets is an Official Selection in the Telling Tales International Film and Audio Documentary Festival, June 23-25, 2017, Manchester, United Kingdom.